Reloading or Rebuilding for the Wolverines? Covering the Boys of Spring as teams pursue the quest of a state championship. Along the way we hope to tell a few stories, bring the spotlight to players, teams and coaches. Baseball in the NW has exploded over the past 15yrs, indoor facilities, select leagues and training. We hope you enjoy the coverage and look forward to any ideas for game coverage or features you might have. Update on 3A @JRebelsBaseball knocked off @KangsBaseball yesterday 7-2 and advance to play-in game to state versus Metro #4 seed on May 12.
.@skylinebb1997 will take on @IssyHSBaseball next. Quah dumped the Knights 13-4. 1. Newport 11-4 (9-4) Well two close losses to Bothell & Skyline, but a 10-run outburst vs. North Creek keeps the Knights in 1st place. Last week of the regular season, and a lot at stake. First round bye in playoffs would be a huge get for Valley of Bellevue. 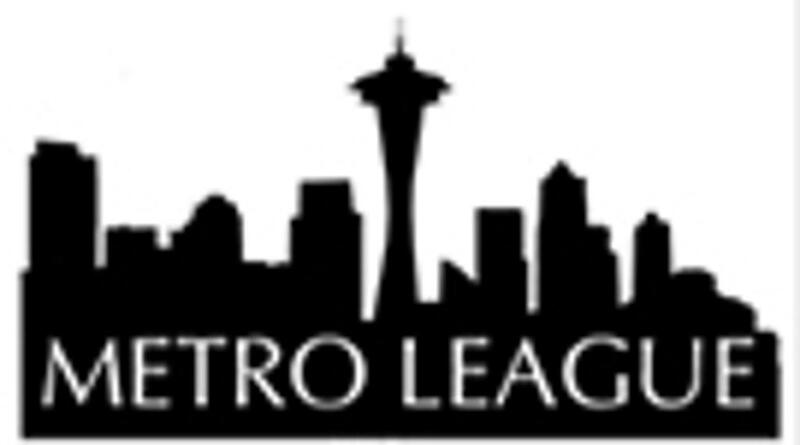 Three tough games on tap: Mt.Si, red hot Eastlake & Front Street Gang. If Gants & Co. get two Ws they should be in good shape to capture a bye for opening round. Gants is red hot .400 avg, but team avg is .236. Luckily, team era is 2.18 so a lot of nail bitting going on. 2. Bothell 11-5 (8-4) Cougs took one on the chin from Sparty, but Peoples and Ponti, both w/14RBI, have been on fire with the lumber. So look for the Boys in Blue to get back on track in a hurry. They have the possibility of going 3-0 to end the season, Lost Front Street Gang, Clipped Falcons and toothless Jags on the schedule. 3. Mt.Si 10-7 (8-5) Scrappy Wildcats have surprised and then some this year. With a playoff appearance in their sights Habben should get coach of the year. However, two true tests this week: Newport & Baunsgard,.312,13RBI, and Halvorson .389 8RBIs. have played a huge part in the Cat's 2018 success. 4. Issaquah 11-6 (8-5) Front Street Gang stumbled through the week, going 0-3. Not the time of year you want to see that happening. Jongejan will be hungry to get back on track this week along with Gellos, Bruckner and Crockett. All hands on deck against Bothell and Newport. Team ERA: 1.17. Wow. Jongejan 5-1 w/1.02era another WOW! If the Eagles want to challenge for 1st or 2nd an undefeated week is a must, before finishing up with Sparty the following Monday. 5. Skyline 9-7 (7-5) Well the week started off with a loss to Falconcrest, but just when things seemed to be slipping away, Spartans reached back for another gear took care of business against Newport and Bothell. Fontenelle might be emerging as Sparty's postseason secret weapon. Speaking of weapons: Mr.Simpson is having a scary good season: .385 6-2B,3-3B,4-HR & 18RBI. Spartans team avg .296 team era: 4.21 Anyway you slice it thats a lot of action. 6. Eastlake 7-9 (5-7) Just as I predicted, just when the Wolves were almost done, they come roaring back with a 3-0 week. Huh. Well, what does my gut say about this week. Honestly, I DO NOT KNOW. Woodinville has been playing better, so lets give the Wolves a win, then Newport and Skyline. Hmm. Well, there is only one thing left to do win the whole $%*$ thing. 3-0 week. Sorry in advance for the jinx. 7. Inglemoor 7-10 (6-7) So your telling me there's a chance? Yep! Norsemen on the edge of the playoffs thanks to Oremus, Mulcare, Baldwin, Bishop & Coach Bishop and basically the entire cast. Norsemen have work to do, will the Viks sail into Playoff Harbor? With Woodinville & North Creek on the schedule this week things are looking good. Norsemen end the season with Bothell a week from Monday, which might determine everything. 8. Woodinville 4-12 (4-8) Believe it or not Falconcrest has been playing its best baseball of season over the last four games. However, unless they can go 4-0 or 3-1 it might be to little to late. Woodinville has the two teams there chasing right out of the gates: Eastlake and Inglemoor. It's now or never. Going 1-1 will probably not make postseason dreams a reality. 9. North Creek 2-13 (1-11) Good News: only four games left. Bad News: Jags have lost 10 in a row. Adding insult to injury, Jags have given up 10 or more runs in 9 of those contests. Including 24 to Mt.Si. Skyline, Bothell, Inglemoor and Woodinville to round out the 2018 campaign. Would like to see the Jags go 2-2, but 1-3 will still be a nice way to break a streak. 2018 Season has just begun, but a lot of storylines exist throughout the KingCo 4A Conference. For starters, North Creek enters the league and will add a lot to the Northshore rivalries. The Jaguars picked up a win in their first game, 3-2 over Kamiak. Nice way to start the season. It should be interesting to see how North Creek, with no Seniors, will handle conference play. Speaking of conference plays the Eagles of Issaquah will look to defend their conference title. Bringing back four proven pitchers, all Seniors bodes well for that to happen. Biggest question is the offense and defense. The Eagles have a lot of new faces bursting onto the scene. A team looking to make some noise in 2018 is Eastlake, a number of key players return position wise and on the mound. Over the past couple of years the Wolves has struggled to score runs, if that trend changes Eastlake will have the opportunity to make a run at the conference crown. Looking to get back into the mix is Woodinville, the Falcons had bit of a rough year by their standards. With some solid pitching returning the Falcons again will live and die by there offense. Last season, production fell off dramatically. Which brings us to Skyline, a late season swoon led the Spartans into unfamiliar territory: free fall. The good news a lot of young players saw action, the question remains will that translate into Ws for 2018. Staying healthy is key, which was a bit of challenge last season. One of more head scratchers last year was Bothell, up and down production plagued this group. The roster has a lot of interesting pieces like last year. However, the offense and pitching never performed at a high rate together. If the Cougs can get both on track an upper division finish is in the forecast. Speaking of things looking brighter than last year, we are anxiously awaiting the Norsemen to put together a solid season. Coach Bishop is back at Inglemoor, and the Viks will play a different brand of baseball than the last three seasons. This is group that could catch some people by surprise. 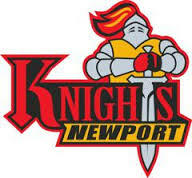 A number of key players return for the Knights, the question is will the supporting cast help the Newport rise in the standings. The Knights were up and down last year. There non-league schedule 2017 was the toughest I've seen in years. A manageable non-conference in 2018 might be the spring board for the Knights start to believe. Over the last few years Mt.Si has been battling for the conference title. The Wildcats were hit hard by graduation, so a lot of players new faces will have to grow up quickly if the Cats want to compete for an upper division finish. Asking a lot of first time varsity position players and pitchers is a daunting task. Sometimes it works and other times not so much. Time will tell for this group of Wildcats. 1. Mercer Island 16-1 (10-1) Not much to report: just a ton of singles, doubles, triples, homers. Islanders looking for redemption not revenge against LW on Friday, but Boys on the Rock should not look past Hot Tub High and Stampeding Stangs. 2. Lake Washington 13-4 (9-2) Crazy Kangs got quite a performance from Buchanan against Rebel Yell. Laufman & Buchanan form quite a 1-2 punch on the mound. LW is coming on strong down the stretch..I love it when a good plan comes together. 3. Redmond 8-8 (6-5) Well, well, well look what we have here. Stangs are on fire, and have jumped up to #3. Didn't see that coming. However: Barison, Fazio, Petit, Thompson, Suzuki, Hellan, and Cagle have been major contributors in the late season push. Three games remain, and they are large: MI,LW and Saints. 2-1 week would be huge and a sign Stangs will be a factor in the playoffs. 4. Bellevue 8-7 (6-5) It has been an interesting ride the last ten days. Hot Tub High's pitching staff has been charitable mood, giving up a lot of runs. Very uncharacteristic for this bunch. Wolverines have MI, Interlake and Rebels. An opportunity to get back on track. It wouldn't be surprising if they went 3-0. It also wouldn't be surprising if they went 0-3. 5. Juanita 7-9(5-6) Up and down like the stock market. However, Rebels have awoken from there long early season slumber. Question is do they have staying power? Well, we are about to find out if they can make so more noise in the last three games: Liberty, Sammamish and Bellevue. Time to see if Rebels have come to play. 6. Liberty 9-8 (5-6) Three game losing streak? What the heck is going on here?? Well two one-run losses is not the end of the world, but to Interlake? Whoa! No time to feel melancholy, Rebels, Kangs and Fallen Totems. We know they will win one this week, but We Are Not From Renton is looking for more than one. Archibald will have to be at his best if they are to get 2-3 wins this week. 7. Interlake 6-11 (3-8) Saints pulled off shocker vs. Liberty to end the week and also took LW to the wire before falling 2-1. So has this group finally figured things out? This is the time of year you want that to happen. So lets spin the wheel this week and see! Sammamish, Bellevue and Redmond. Hmmm. This should be interesting. 8. Sammamish 1-14 (0-11) Things have spiraled down the tubes in 2018. Totems would love to find a win, Interlake looks like the last chance. Juanita & LW to finish up the week and ride off into the sunset. Oh wait they play 2A, so onto the postseason....still don't understand 2A madness. Looking into the good old crystal ball, I see lots of possibilities for a number of teams. One thing is for sure: Mercer Island has the upper hand for now. Bellevue is lurking and number of key players return which makes this an interesting bunch to follow in 2018. The Wolverines had a stunning turn around in 2017. Gave MI and LW all they could handle, this year's version might be as well know, but that is an opportunity my friends! Speaking of opportunity, the Liberty Patriots have another interesting roster. Yes, they lost workhorse Mr.Anderson on the mound but the overall talent has begun an upward trend. Biggest area of improvement needed: defense. Last season the Rebels played pretty good defense to back two very good pitchers. However, the bats went missing to often and Juanita finished 6-8 with two D1 arms. Ouch. So the theme this year? You guessed it: score runs and let the chips fall where they may. If the Rebs can score, look out! I'm on the lookout or maybe a search party for the Saints. Interlake graduated a lot of offensive fire power and some pretty important pitching. Soooo who is left? That is the million dollar question. A group of role players from last year's squad coupled with new faces has the Saints wearing name tags during practice. This should be interesting year for Crossroads 9. Which brings us to the Mustangs of Redmond. The Stangs have been caught in the middle of up and down. In 2017 they had some amazing performances followed by a string of games that make wonder who are these guys? Outside of Redmond High, teams might be overlooking this bunch, but I'm not. Stangs will surprise and play some scrappy ball. Coach Pudwell knows how to get the most of his players. Reaching for more wins is something the Totems need to get in 2018. It has been awhile, and it still might be awhile that Sammamish will strike fear in their opponents. However, getting 4-5 wins on the season would go a long way in the rebuilding process. Sometimes progress is not seen in the win column. If the Totems can improve defensive play and get competitive pitching outings this season will be a success, and there is nothing wrong with that outcome. ©2019 Basepaths NW / SportsEngine. All Rights Reserved.